Most people appreciate when their hard work and dedication is recognized. Networking with others in business, especially in businesses that relate to your own can help you gain new insights, which can improve your business. Many women in business have excelled in leadership, vision, networking, and contributions to their businesses and their community, but their accomplishments are not shared in the media as often as for their male counterparts. Here are a few opportunities to help these ladies in business who have inspired and encouraged others, to be recognized for their accomplishments. 1. 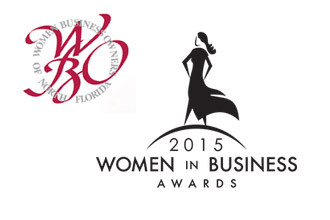 The Women Business Owners of North Florida, Women in Business Awards. The Awards event are usually held in March each year, but don’t wait to submit your nominees. Find out more on the Women Business Owners of North Florida website. 2. 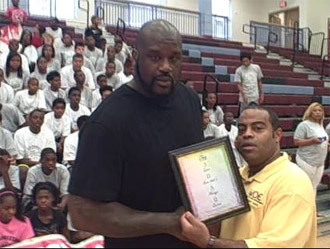 A “Derrick Interview” by Encouragement Speaker, Derrick “Headlines” Hayes. Derrick “Headlines” Hayes is a professional encouragement speaker, who has interviewed and written stirring articles about experts, entrepreneurs, celebrities and up and coming super stars from all over. Based on your recommendation and the information provided about your nominee for the Derrick Interview, Mr. Hayes will develop a very personal and impressive article about your woman in business, and share it on his website. Please note that the subject of Derrick’s articles are not solely to recognize women in business; men may be nominated for a Derrick Interview as well. To nominate someone, please visit the Derrick Interview page on his website. By recognizing and encouraging others, we are helping to lift them up, and making our community a little bit better. If you have questions about any of these programs, please Contact them directly for more information. If you would like some help setting up a website for your small business and getting more visibility for your business on the internet, please contact Jax SEO Works. We like to help! This entry was posted on September 4, 2018, 1:56 pm and is filed under Resources, Social Media Networking. You can follow any responses to this entry through RSS 2.0. You can leave a response, or trackback from your own site.